Another new category for Amazon? 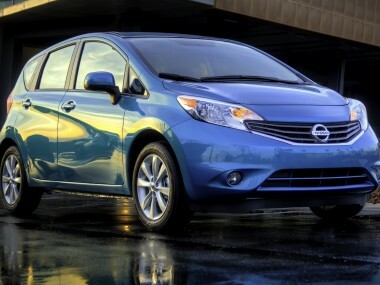 The Seattle-based online retailer is attempting to help Nissan sell and lease its Versa Note cars in conjunction with a Nissan ad campaign running on Amazon’s homepage. Clicking on the homepage ad takes shoppers to another Amazon Web page that features a variety of photos and specs of the car. Those interested in the car are then asked to fill out and submit a form, and wait for a local dealer to contact them (you can’t actually order the car through Amazon). Nissan is currently offering $1,000 Amazon gift cards to the first 100 people who end up buying or leasing one of the cars within 30 days of the form’s submission. The ad campaign was created by the TBWA\Chiat\Day agency, according to TBWA Global Creative President Rob Schwartz, whose tweet first tipped me off to the campaign.